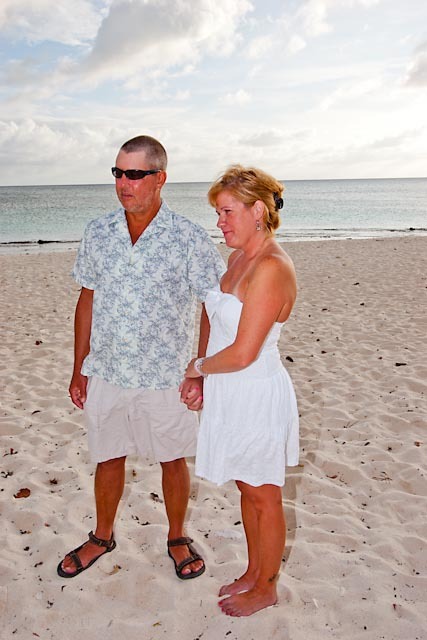 This couple are from Marco Is. Fl. 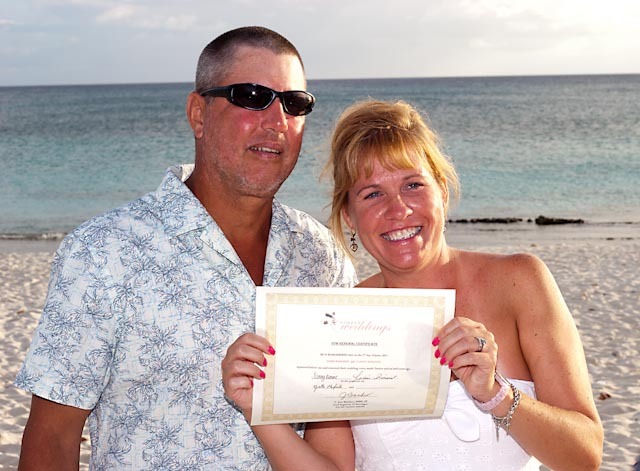 They had been to Grand Cayman on a cruise, and loved it, so as a very thoughtful anniversary gift the lady booked them to come back to her husband's favourite vacation spot. 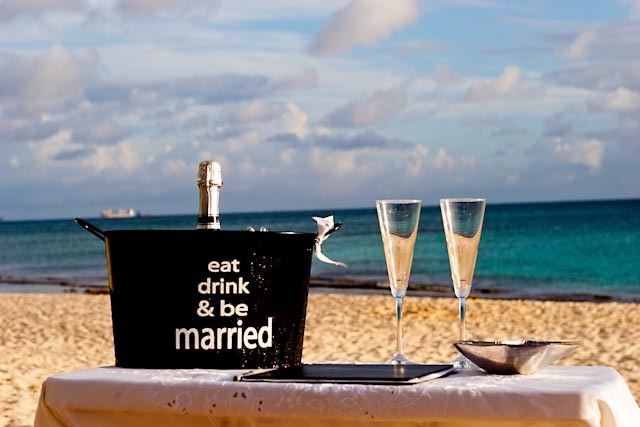 The ceremony took place on a wide stretch of beach near Tiki Beach bar. 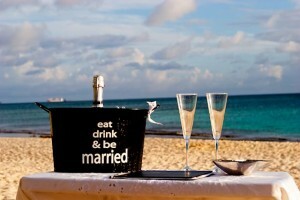 The ceremony took place at sunset on Seven Mile Beach, Yvette McField was the photographer. After the ceremony I took them down to see my dad, so they could tell him how much they enjoyed the ceremony. We found out that the husband and my dad had a lot in common, they both like to hunt and fish. My dad regaled us with stories of his glory days of fishing and hunting on Grand Cayman, Central America, and the Florida Keys. I have a feeling this couple will be coming back in a few years to enjoy another special Grand Cayman vacation. I have promised to set them for a real fishing trip with some very special (t0 me) fishermen.